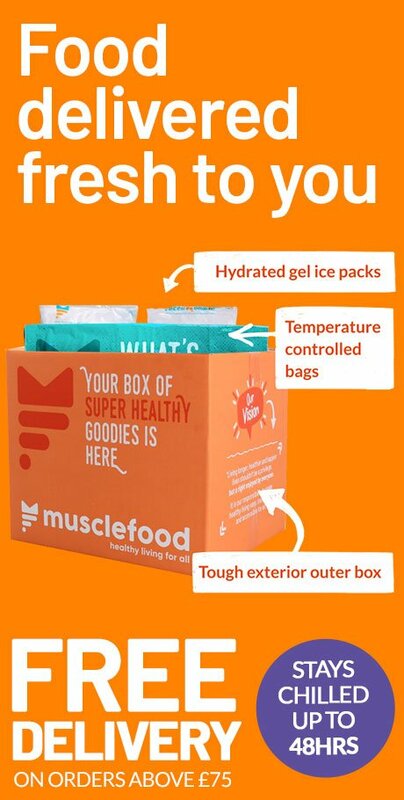 International rugby players, Olympic gold medalists and bodybuilders are all fans of Muscle Food. By popular demand, we have interviewed some of these sporting stars to get their feedback on their diet, exercise and lifestyle choices. All of the stories are both inspirational and motivational. If you wish to have an interview featured on this page then simply drop us an e-mail. You may remember her from Skins, but Megan Prescott exploded into the bodybuilding scene, lifting her way to an amazing competition back in May. 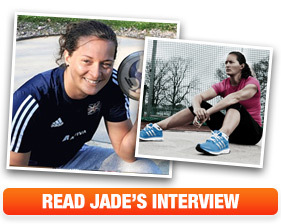 After breaking her hand three years ago, she was introduced to personal trainer Jay Homewood. At a time she was looking for a project, the opportunity to look after #1 was warmly welcomed – smashing weight training and feeling amazing! You may remember Jade Lally’s name from this year’s Rio Olympics – she is the Team GB Discus thrower, and current record holder in Britain! With her incredible performance on the run up to Rio, her vast history spanning from school to now and her inspiration to carry on with a diet of Musclefood meat, we had to speak to her. 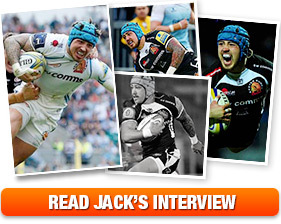 A formidable player for the Exeter Chiefs and an essential asset to our country’s international team – Jack Nowell has done it all. But yet, upon talking to him, it’s clear he stays so humble amongst all his achievements, living life with team mates and his dogs. From the standard University lifestyle of drinking and eating way too much, to getting ripped and starting his own 8-week fitness plan. 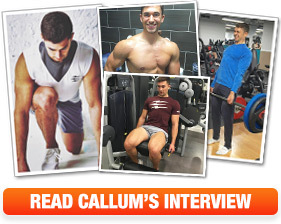 Callum Melly is proof that with dedication, you can turn everything around. Chances are you’ve heard of David Weir – the recently retired Team GB wheelchair athlete who won four gold medals in London in 2012. 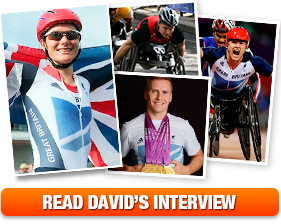 Well, it turns out he’s a MASSIVE fan of Muscle Food, so we just had to talk to him about his amazing journey from new starter to Paralympic gold in his home city. While he’s turned out to be an amazing wheelchair athlete, did you know he actually wanted to be a basketball player first? 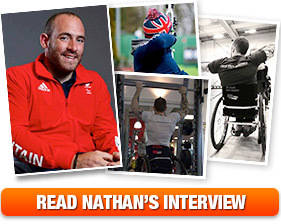 Meet Nathan Macqueen, a 25-year-old Paralympic Archer and Muscle Food fan who is currently representing Team GB over in Rio! At the age of 17, Nathan was playing professional rugby for Glasgow Warriors and had represented Scotland at an under-21 level. During this time, he had also joined the Scottish archery team. Meet Liam Irons – a young Paralympic football player with cerebral palsy, who is currently in Rio representing Great Britain. 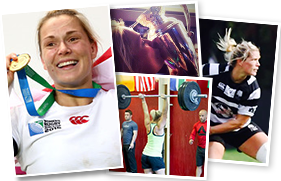 What does it take to be a top international Rugby player? As Bath Rugby’s Second Row-man Dave Attwood explains, it takes a lot of calories, a solid fitness plan and A LOT of dedication. 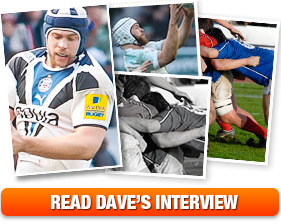 Dave’s sporting career started young, as he joined his primary school rugby team at the age of 8-years-old. Ever since then, his love for the sport didn’t waiver – working harder to be better year after year. Meet Al Kavadlo – one of New York City’s most popular personal trainers, and one of the coolest dudes right here on Muscle Food! He is a leading expert in bodyweight strength training, showing the world that you don’t have to go into a gym to train every muscle in your body for strength. Becki Rabin is more than just “healthy,” she is “Alternatively Healthy,” healing her body of intolerances and becoming one of the big experts in digestive health, wellness and healing. 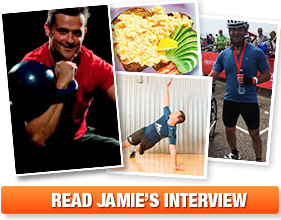 If you’re a Muscle Food fan, chances are you’ve read some of the articles from Kettlebell legend Jamie Lloyd! Starting out, he was all over the shop – playing rugby and football, chopping his way through karate, and running and mountain biking. Throughout his 20s, he moved onto marathons and triathlons, followed shortly by Kettlebell Sport. 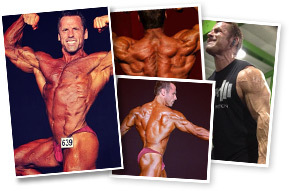 For most people, bodybuilding is a life-changing transformation that comes at a later point. Phil Graham picked up his first weights 14 years ago and hasn’t stopped since! But what you don’t see is the amazing opportunities this kind of clean living grants you, as Phil travelled the world to compete on bodybuilding stages across the globe. Meet Kelly-Louise – one half of the FittSisters, and a down-to-earth fitness fanatic who has taken her work to the competitive bikini scene! She began professional dancer at the age of 21-28, working with some of the best choreographers and learning the art of dedication. But after a knee injury while marathon training, it gave her some time to really think about what she wanted her future to be. 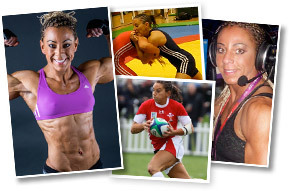 Melody Coleman has come from a rich sporting history to become a successful personal trainer and blogger with a rich background in nutrition and strong aspirations to help others. 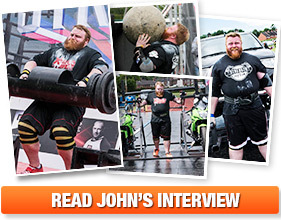 John Clark is not your standard strongman…Breaking records and sharing knowledge in his own gym, the strongest man in the Midlands has made his impact felt in the world of health and fitness. Sam Whitaker has built up his knowledge on health and fitness from when he first lifted a weight 13 years ago. Since then, he found his passion for helping people get in shape and reach their goals - that is when Body Target was created. 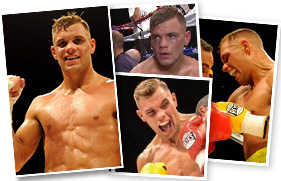 Callum Norton first began hitting the weights eight years ago after joining a local boxing gym and realising he was more interested in gaining an outstanding aesthetic physique rather than the body of a boxer. 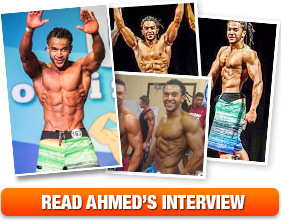 Ahmed grew up basking in the sun by the sea, so his introduction to sport and fitness began at quite a young age. 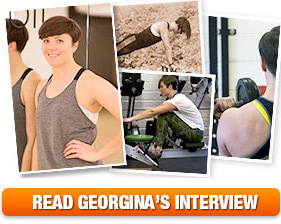 What's even more impressive is that she only began really exercising in 2009 after the birth of her second child! 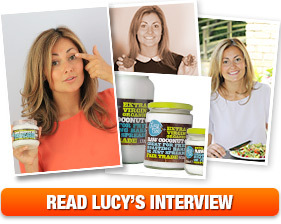 We spoke to Lucy to find out what it takes to set up one of the most successful fitness foodie brands in the UK. 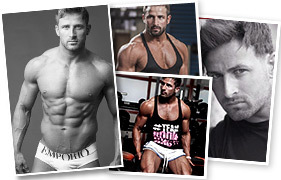 Mitch Gosling has been a personal trainer and transformation specialist for 18 years. But he hasn’t always had bulging biceps and rippling abs! Helen’s passion for fitness stemmed from her childhood days of training at the gym with her Dad. 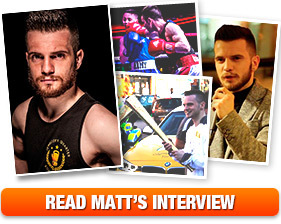 Matt ‘Man’ Windle might look like your average boxer, but Matt has another talent that isn’t so obvious – poetry! Fitness duo Amy and Tonie first met at a bar in Leeds. Amy says Tonie followed her around like a lost puppy. Tonie says they spent most of the night outside the bar talking in the cold. 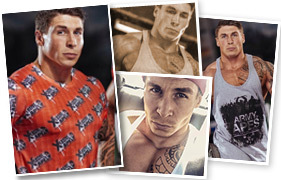 Jonpaul began weight training at the age of 19 alongside studying at University. Having always had a slim frame from playing athletic sports, he decided to change his style of training and began lifting weights. Just four years after her first danclass, she was accepted into the prestigious Urdang Academy’s Performing Arts training course in London. He is the cousin of famous Footballer Robbie Fowler, but has become a successful and well known athlete in his own right. 27 year old Heather originally from Hertfordshire was just your typical fitness fanatic and gym goer. 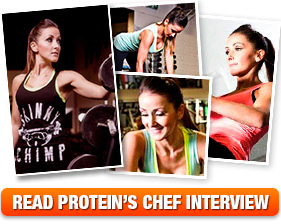 That was until she began sharing her recipes on social media and became to be what you will know her best as – Protein Chef! The last time we chatted to Joel Corry (towards the end of 2013), he was in the midst of juggling his illustrious DJ career with his passion for fitness all the while dreaming of stepping onto the Miami Pro stage and walking off with a title. 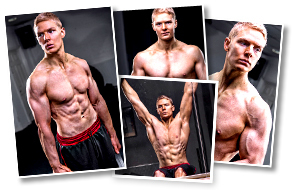 25 year old Chris was born and raised in Ireland and has always had a passion for being fit and healthy. As an ex semi-professional rugby player and national champion sprinter, staying active has always been a huge part of Chris's life. 26 year old Roxy from Liverpool is best known to us as a successful bikini athlete, but we were surprised to learn that she is also a full time veterinary animal health manager too! … Who from a young age loved sport and the idea of being fit and healthy; from representing her school in athletics, to climbing the famous Snowdon Mountain. 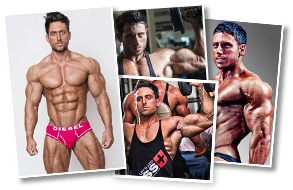 WBFF Pro Muscle Model and personal trainer Roger Snipes is renowned for his incredible physique. … But as a teen Roger could be found on the athletics track not the weights room. So how did this 36 year old from London transition from a sprinter to a well respected bodybuilder? 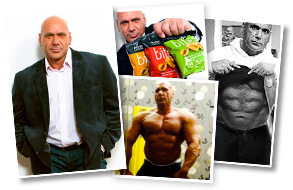 … Shortly after joining the gym Simon was talked into entering a Natural Bodybuilding competition and found himself standing on stage just 16 weeks later! 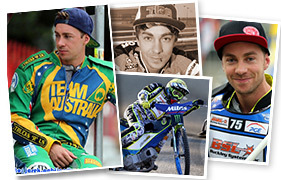 Troy began riding around on a 50cc bike at just 3 years old on his grandfather's land. At 5 he started racing walking away with a trophy in his very first contest. 25 year old Sam from Surrey is an activity leader and works at GNC by day, but an aspiring bodybuilder in his spare time. 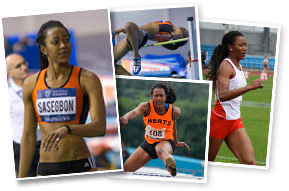 British born Nigerian Moe Sasegbon was introduced to athletics in Nigeria by her parents at just 9 years old. 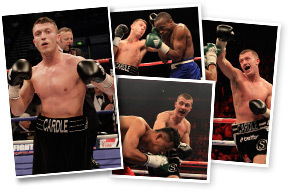 27 year old Lee from Barry, Wales is fast becoming one of the UK’s most successful featherweight boxers. Ricky was brought up in Morden, Surrey where there were few facilities and even fewer opportunities. But with a strong family behind him, teamed with a strong competitive nature Ricky was destined for greatness. Jack “The Ripper” Storer has only been bodybuilding for a couple of years and already is making storm waves in the fitness industry. Having come from a family who are all into fitness, it seemed it was destiny for Jack to follow suit and when he completed his GCSEs he decided to embark on his fitness journey. Some would say Rachael was born to be a rugby star. With her family all playing for Medway RFC. Rachael grew up playing with a rugby ball and attending the rugby ground, before she took to the field herself at just 6 years old. Arran Arogundade has always been a fan of fitness. His younger days were filled with sport, sport and more sport and when he reached the age to hit to gym, his passion for working out flared exponentially. So, he upped his regime, cleaned up his diet and gave it everything he could in preparation for the fitness stage. Joe Rubino has been bodybuilding for the last 26 years although his path to bodybuilding success has been far from an easy one. 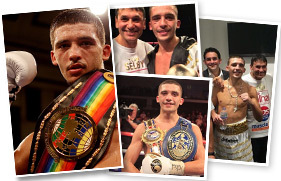 Scotty started boxing at just 8 years old, at 14 he won the English Schoolboy Championships. Matt Warner, a recent POTW winner has always trained for fitness throughout his sporting career. One year ago, in 2013, David Bissell was studying for his Masters in Aerospace Engineering at Leicester University. Non Evans is undoubtedly one of the most inspiring, genuine and gobsmacking-ly talented sportspersons we've ever encountered here at MuscleFood. International Athlete selected for The Commonwealth Games 2014. 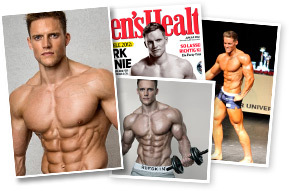 Bodybuilder, Fitness Entrepreneur and Creative Thinker. Rick Hall went from self-professed "pro-gamer" and party animal to a lean, muscle bound fitness expert in a mere 4 years, and increased his mass by 100lb! Business entrepreneur and a well-known name in the bodybuilding industry. 34-year-old Scott Galton began his fitness journey fourteen years ago, he hit the weights, researched clean eating and made the decision to go natural. Zak Pallikaros (AKA Dr Zak) is the man behind the fantastic Protein Bread and Protein Pasta ranges, although there's much more to this passionate business entrepreneur than delicious nutrition. Joel Corry has always been into fitness and began working out at the young age of 16. 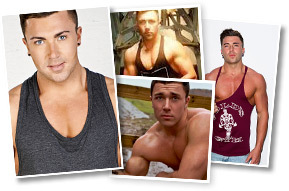 You may know of James as the guy from hit MTV show Geordie Shore, but he is also an avid fitness enthusiast, qualified personal trainer and business entrepreneur. 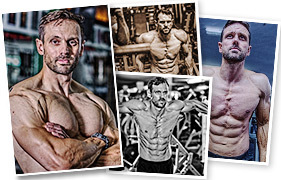 Transformation specialist Adam Gethin began his personal journey to fitness at the tender age of 16 and took a very typical approach – he wanted to get bigger! 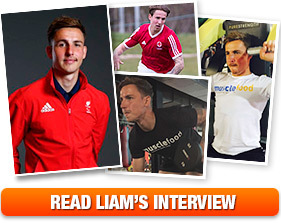 Access all MuscleFood Athlete Interviews. Select a name from the list below, then click the ‘Read Full Story’ button.